There's something about the physical size of the Nikkor 300mm f/2 lens (also seen here) that draws smiles and attention wherever it goes. 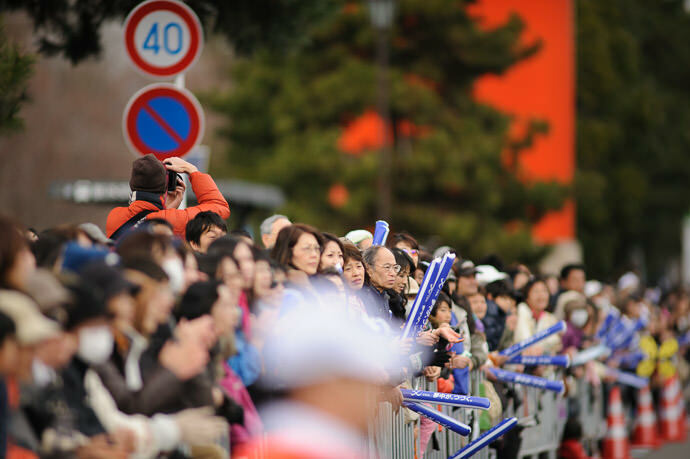 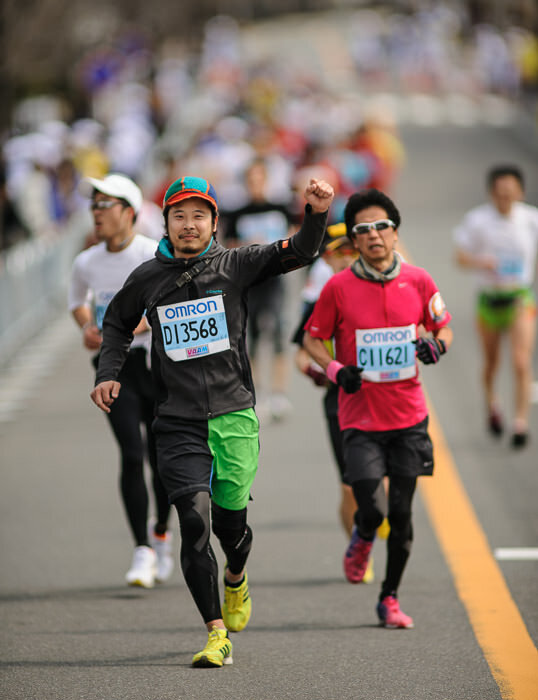 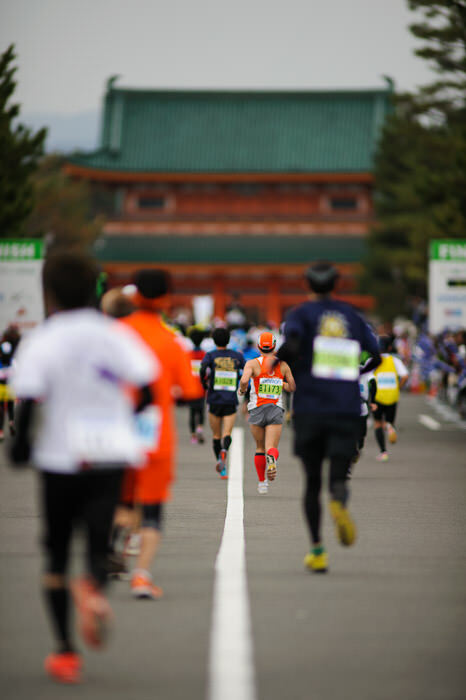 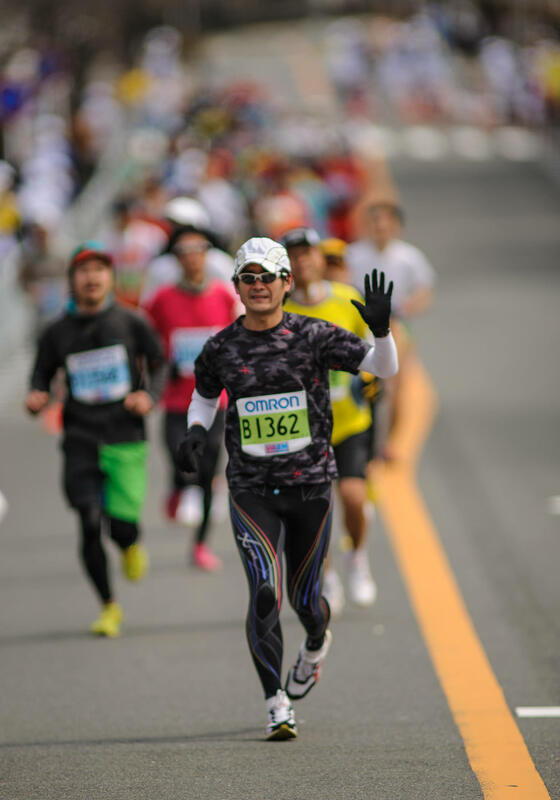 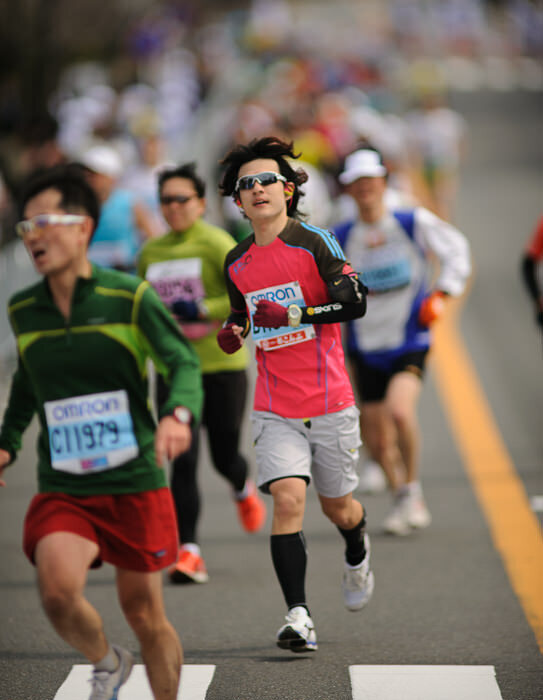 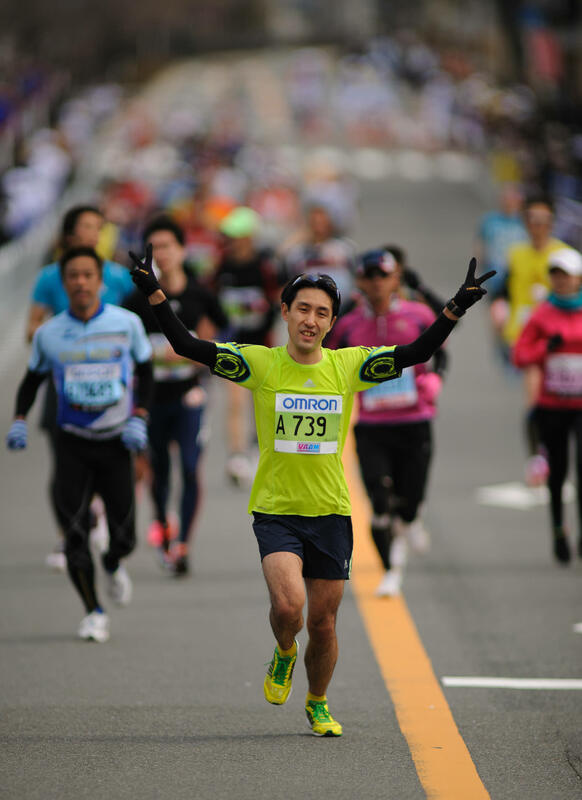 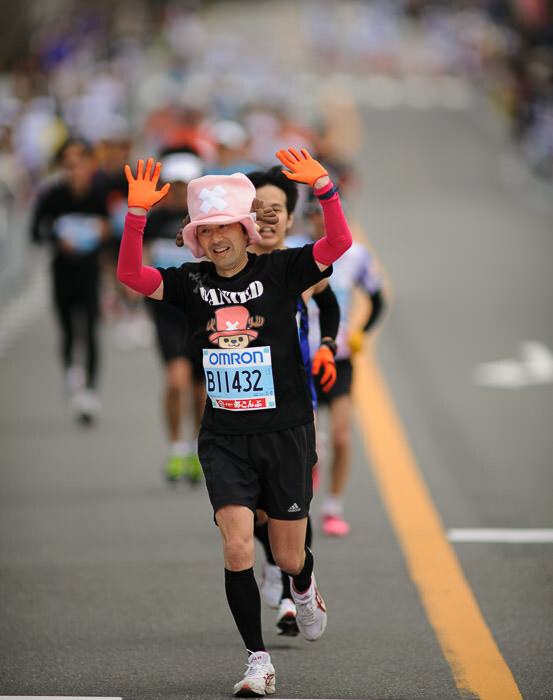 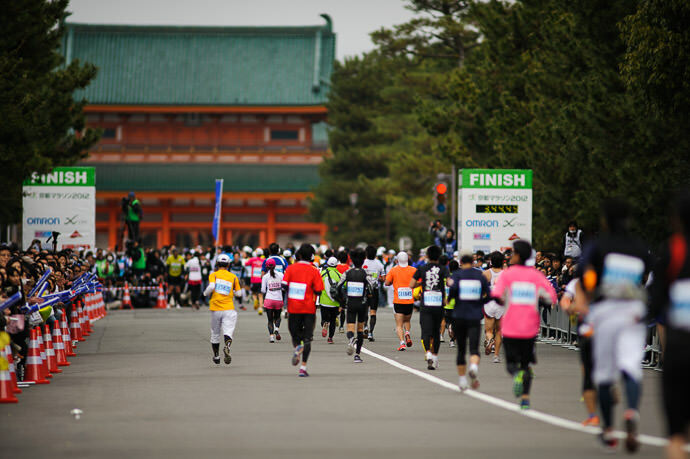 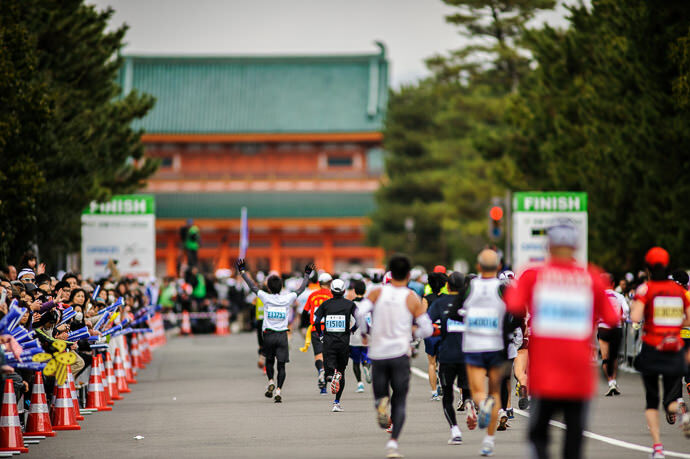 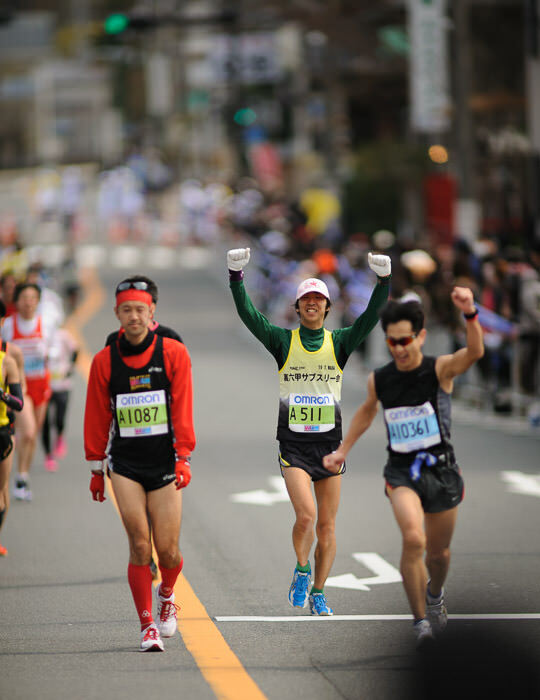 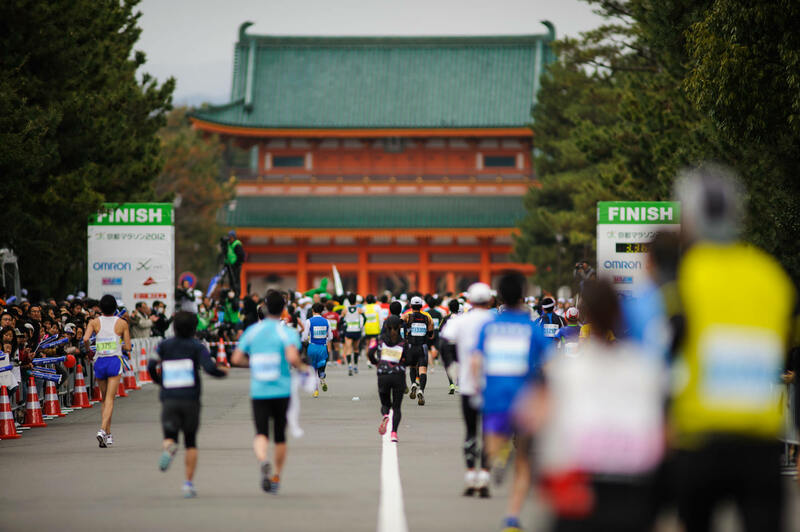 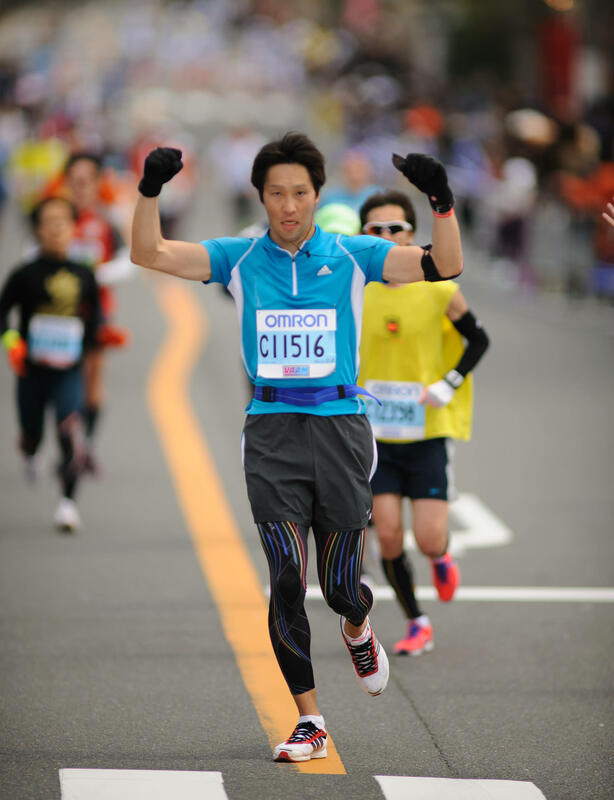 I had it out a couple of years ago for the 2012 Kyoto City Marathon, and with the 2014 race coming up this weekend, I was reminded of a post from 2012 that I've been meaning to write. 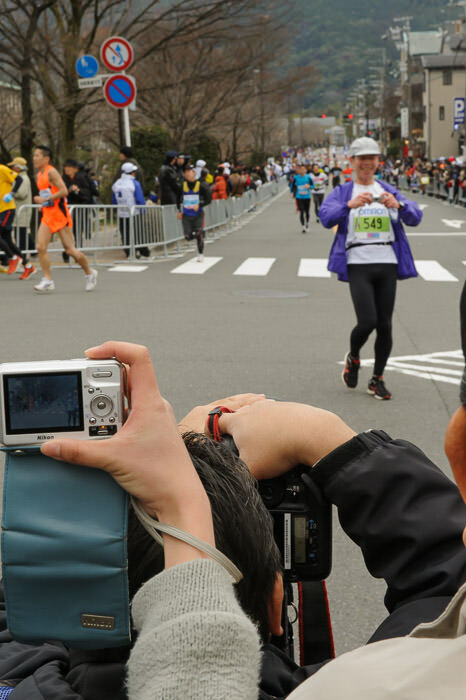 Because I've seen many fun reactions to the big lens (such as seen here and here), it didn't surprise me when folks hammed it up a bit for it when I positioned myself at the last turn of the marathon, perhaps 20 seconds from the finish line. 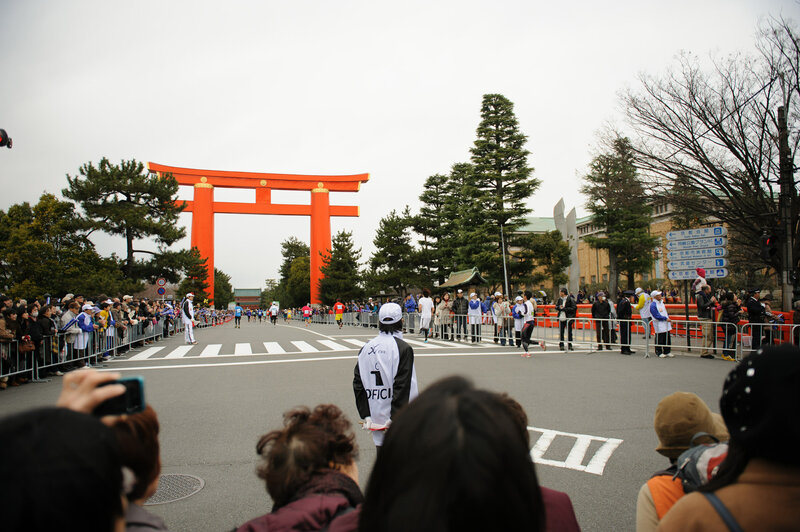 People seemed to notice it from quite a distance away, even though I was in a scrum of folks with cameras. 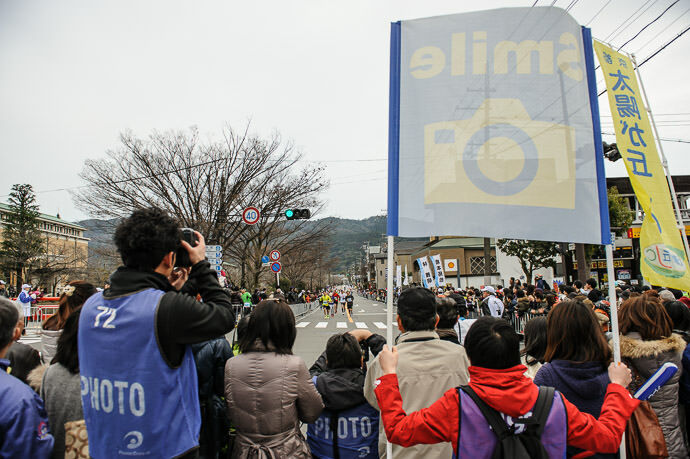 It's a big lens. 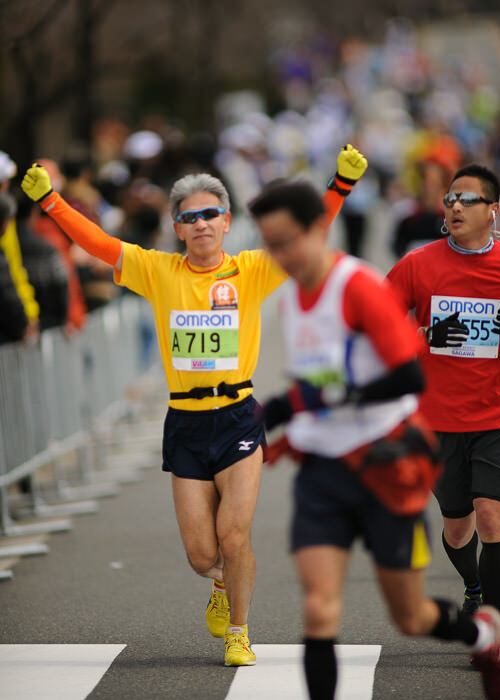 I was happy people were reacting to the lens, but the number of folks having the energy to do that after having run 26 miles seemed oddly high to me, so it make complete sense when I stepped away from the throng of folks at the turn and noticed that I'd been right beside a big “SMILE” sign!